I hope you had a great start in the week. I am still exhausted from the training and event right after that. Sunday was not enough to recharge. I am also trying to exercise everyday around an hour which causes further exhaustion since I was not doing it for sometime now, my body is used to sit in the sofa and write a blog post haha. Recently Armani released another summer collection in Germany. There was one with bronzers and co but this one looked more interesting with nail and eye products. On Friday, right after training on my way home, I visited the counter to check the things out and ended up with two nail polished and two Eye Tints. I would like to share my thoughts about these products today. I also had the chance to swatch most of the collection. You can find the swatches at the end of this post. Let's start with the nail polishes. There are three nail polishes in this collection, one of them, #707 Blue d'Armani is a repromote. You can see my swatches of all the permanent shades here. It was previously called #701 Bleu d'Armani. I don't understand why they give the same name and renumber a color, it is obviously the same color. Back to the new shades. I asked SA, with fear. "are these matte too?" she said no and I was so glad to hear that. You remember they released some matte shades, reviewed here, then kept releasing some dupes to these which looked almost the same, such as the one from Runway Collection. I was so disappointed. Anyhow, the two new shades are not matte, yay! 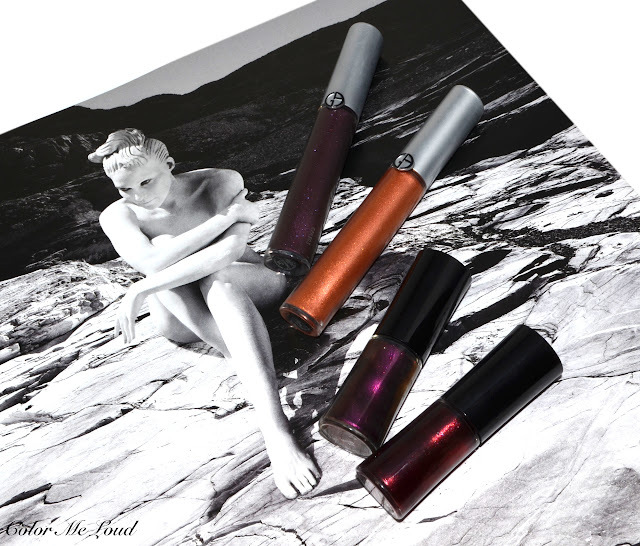 The first shade is #605 Mauve Éclipse. This is a super pretty purple and it is so vampy, thus was screaming my name. 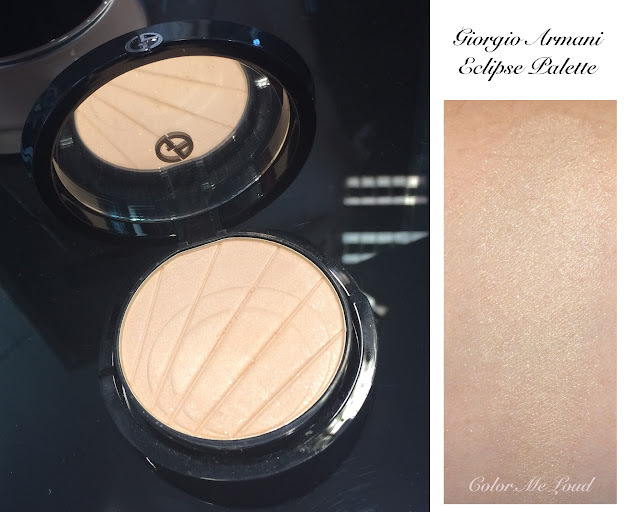 This one is very close to Chanel Taboo minus the complex shimmer. The formula though could be better. It is very opaque even after the first coat but it feel gloppy and hard to work with. Although it is thick, it emphasizes nail texture (check out my ring finger). Armani nail polishes are one of the longest lasting formula on me. I haven't put #605 Mauve Éclipse in a real test yet but in longevity aspect I am sure it will deliver. It is lovely under the sun but in shadow you only see a blackened color, you can't put your finger on. All in all still pretty. I don't regret getting it but will probably wearing it in Fall, not in Summer. 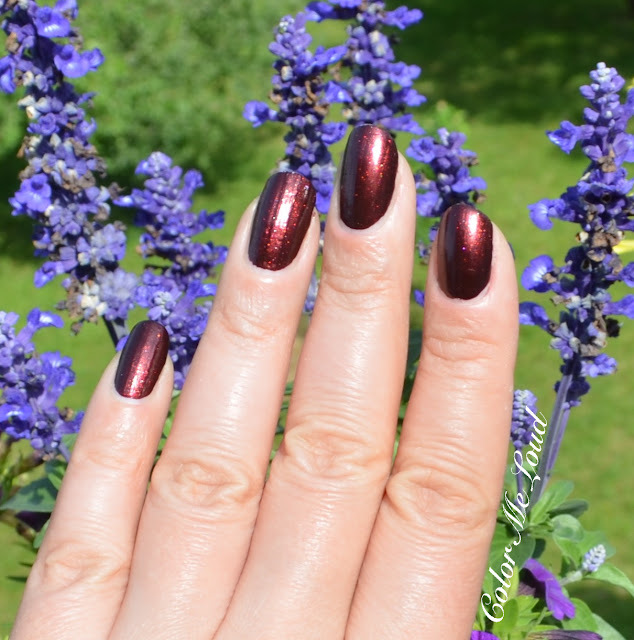 Next one is a deep metallic burgundy called #403 Rouge Eclipse. It is very close to Chanel Malice. But remember Malice was a holiday release. Rouge Eclipse reminds me of Fall, Winter, Christmas. It is still a pretty shade. 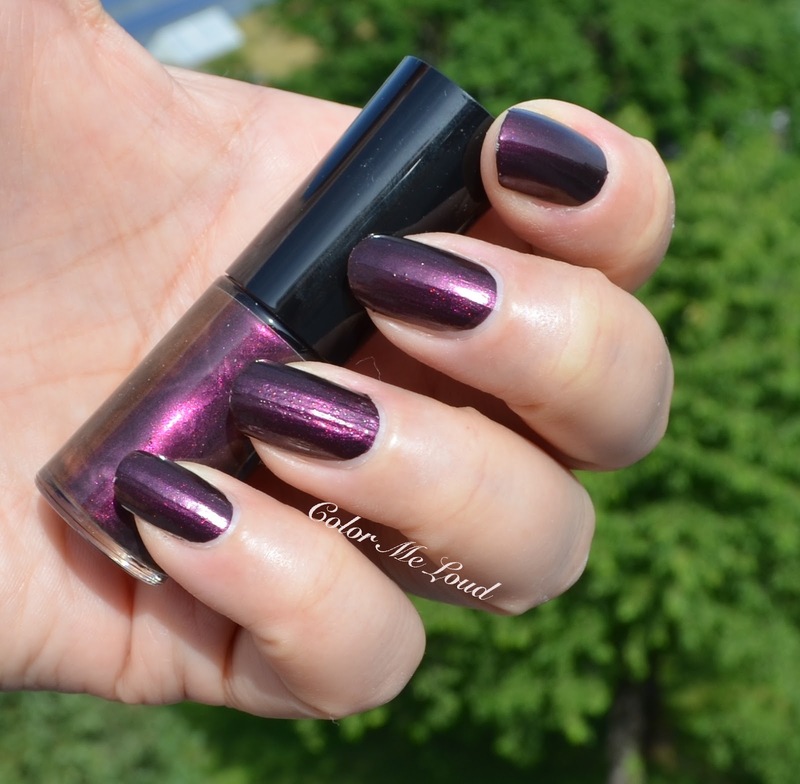 The consistency is very close to Mauve Eclipse, rather thick, opaque in almost one coat but emphasizes nail texture. I am sure I will reach for it after the weather gets a bit cooler. Right now I am not feeling vampy shades. Now on to the Eye Tints. There are three new colors and one repromote. The dark blue, called #2 Minuet is a part of the permanent line. Three new limited edition shades are called #13 Zenith, #14 Sunrise and #15 Sunset. I passed on Zenith because it is almost like a very yellow liquid gold. I don't think I can pull it off. #14 Sunrise is an orangy copper with metallic finish. The formula of this one is good, reminds me of #05 Onyx (reviewed here) minus the glitter. Since there is no glitter, there is also no fall out. Sunrise is a little too orange on me for my taste but if it is applied very carefully over other deeper shades, it looks beautiful. I wouldn't wear it on its own though (tried and failed). 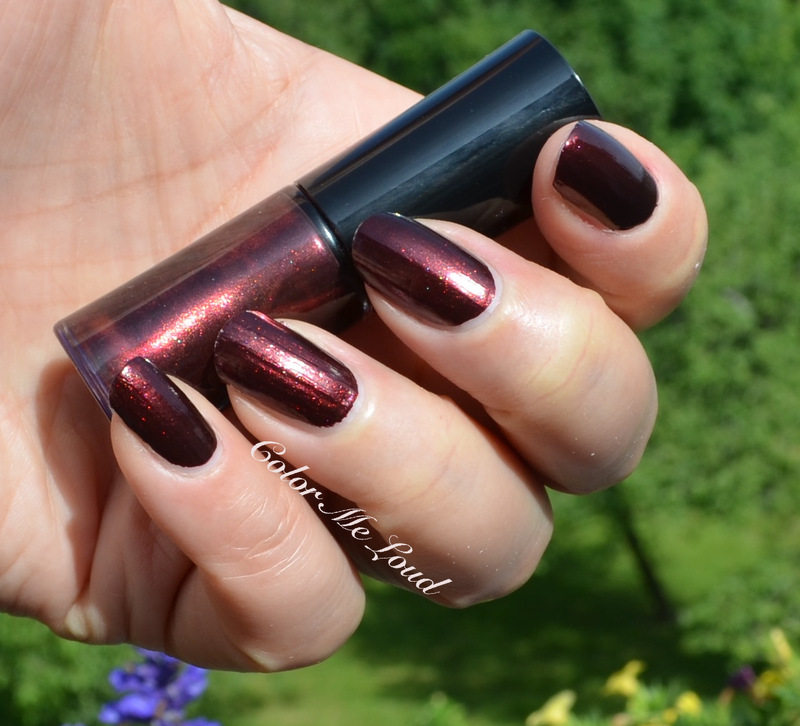 Shade #15 Sunset is a deep purple (Smoooke on the Waaater, can't help!). Normally I have to be head over heels with this one but unfortunately I am not. The consistency is very watery and application is patchy. Too bad, because Sunset and me, we were meant to be. I would love a swipe and go purple for the mornings when I am in rush. This one eventually works and looks pretty but needs half an hour to blend and get rid of the patches. I think instead of investing to some shade which need time to make work, I would go ahead and order #10 Senso (reviewed here) if you don't have that shade because it is a one product wonder on me. I use it when I don't have time but have to look polished. I take it with me during each travel. 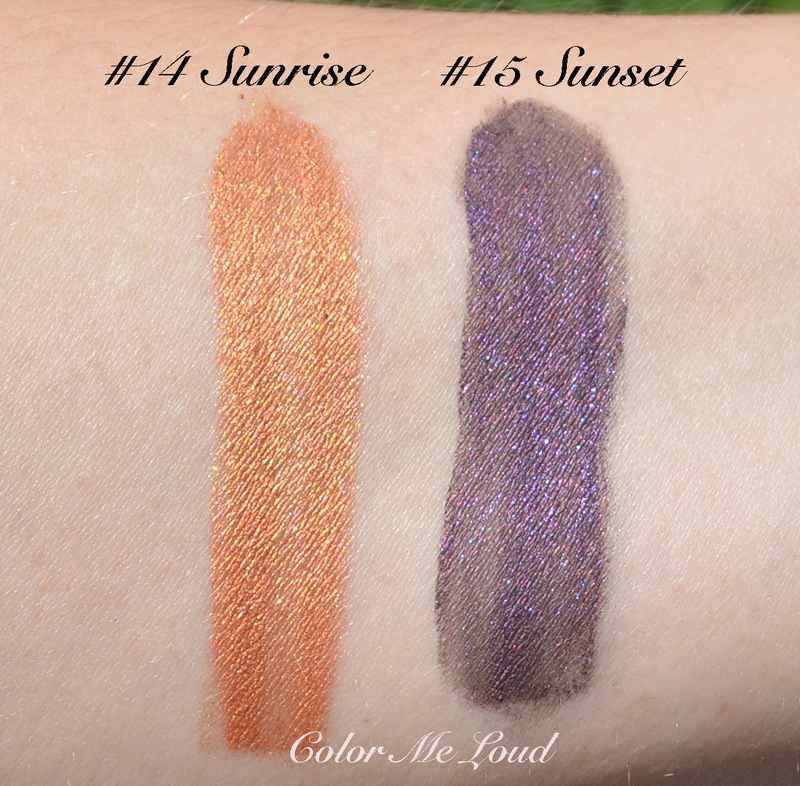 Here are some swatches you can see how uneven Sunset is. Here is the eye look which needed some time. I like how the result turned out though. I applied #15 Sunset all over the lid, blended, tried blending, applied more, gosh... Anyhow it worked. I then added a touch of #14 Sunrise in the middle and blended outwards. Here is the full face for this eye look. 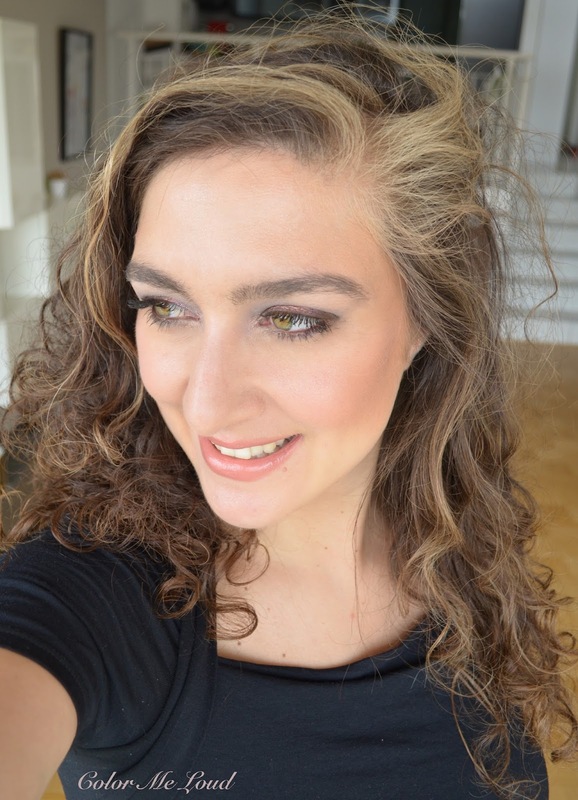 I combined the eyes with Tom Ford Frantic Pink and Terra Bronzer on the cheeks, Dior Grège on the lips. You can see the full product list here. Now here are the rest of the swatches. 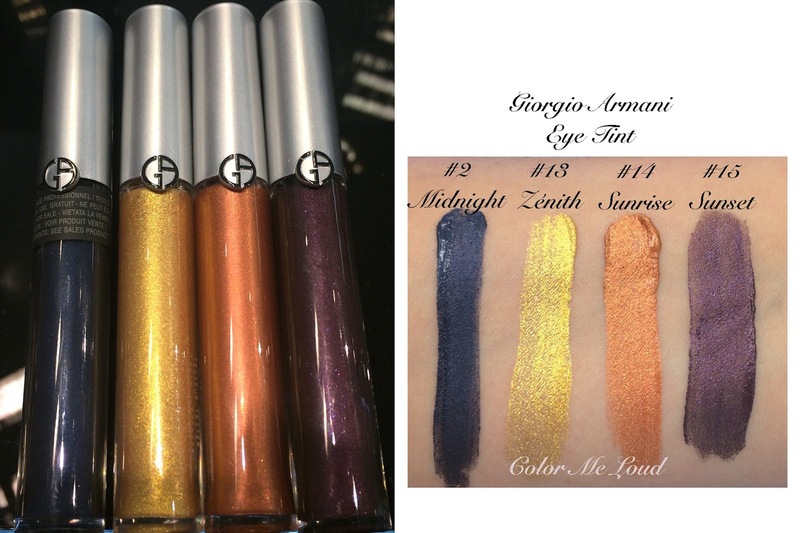 The star product of the collection is Giorgio Armani Eclipse Palette. It is a very subtle highlight on my skin tone, almost impossible to detect. Since the pattern looked like it wouldn't survive long and the highlighting effect was not really visible on me I passed on this one. It feels very finely milled though If you are deeper than me, you may want to check it out. Here are the swatches of all the Eye Tints of this collection in a raw, In case you like golds, Zenith is also very pretty. It was a bit too bright for me so passed on it. It can apply nice over another deeper shade though. Right under it two of the four Eyes To Kill eye liners are swatches. They didn't have the tester and the product delivered last week Friday, If I get a swatch with all the shades, I will edit this photo. 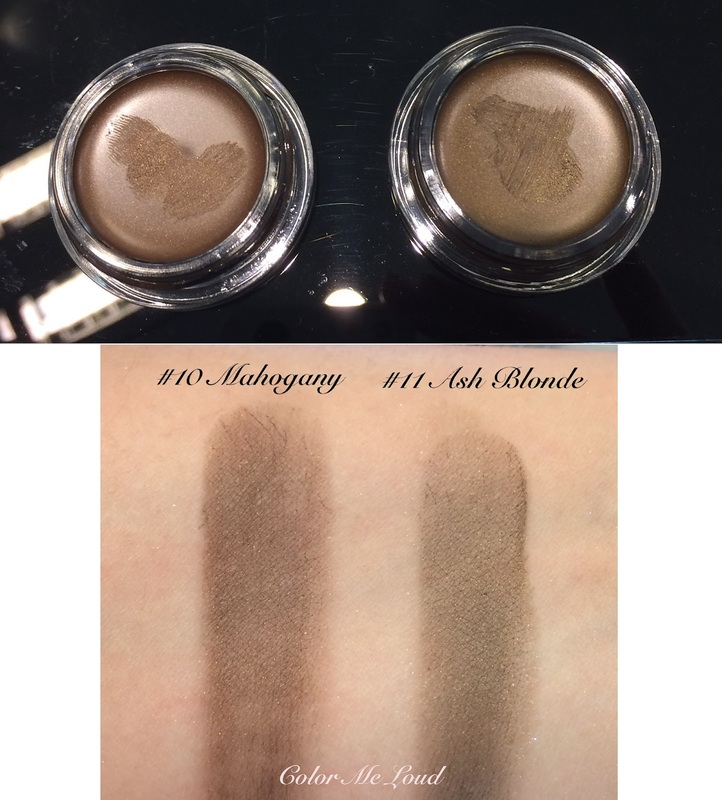 There are also two new shades to Eye & Brow Maestros. Ash Blonde is very interesting since it is cool. Almost all the shades in the permanent line (reviewed and swatched here) is rather warm so yay, hope it is not limited. Final thoughts: Although I like the color story, the combination possibilities of the shades and the products in this collection, the consistencies disappointed me a little. Nail polishes are super pretty but they are little gloppy and emphasize the nail texture. Eye Tints are wonderful shades but the consistency of Sunset is very watery and patchy. I think the best thing about the Eye Tints is that you can just get some on your eye, blend with finger and be ready in a few minutes. These two shades, especially Sunset defeats the purpose of the product. I need over half an hour to make it work. The end results are nice but make sure you try it before commiting. The Collection is now available at Douglas in Germany. I don't see it in the states yet. Is anything catching your eye? So disappointed that the consistency of Sunset is inferior, but I can see the issues clearly in your swatches. Kind of looks like Zenith might have the same problems. Stunning colours, though. Such a vibrant combination!!! I really like it! It's a pity purple did not perform so well :( I could definitely buy it but I liked the copper one also.i can' find anywhere TABOO from Chanel so I'm always open to similar colored nail polishes so I may grab the purple one.One precious tip from you : do you use only fingers to blend the eye tints or you use also a brush and if so which one? I agree the nail varnishes are autumal! Plus I have Malice and Taboo. 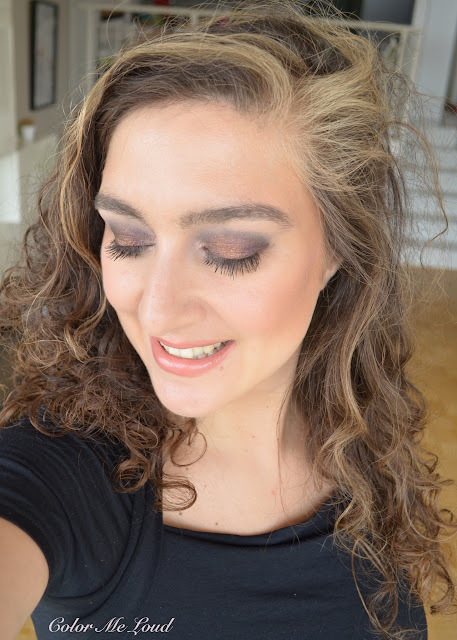 I never wear such dark bright colours on my eyes so these eye tints are not for me. I have Green Iron, also a one swipe wonder, and am so eyeing Senso, but apparently it's very much like Chalotte Tilbury Mona Lisa which I'm loving right now. I hear you on the exercise; I've just resumed activity too and I walk aroundin pain all day, haha!! I love it! The eye tints colors are beautiful. O think the yellow one would look amazing on darker skins. Obviously I'm tempted by the palette, it could be fine for my super pale face. I'm surprised they didn't add any lip options. Those eyeshadows look beautiful on you Sara. I'm also loving the combination of Frantic Pink and Terra at the moment. Hmmm, I'm not liking some of the new eye tints, the orange and gold are too bold for my eyes, midnight is too dark, and 30 min to blend the purple? Yikes. I do like the highlighter, it would be a subtle glow. I really like the orange and purple combo you did with the eye tints. Too bad the formulas are a bit of a miss. Also glad to see they've released a cooler-toned brow maestro. I own Copal and can make it work for me, but a cooler undertone would be better for me. The purple tint is gorgeous if it blended better. What you did is a nicer look than most could get out of these. And while I am glad for a cool shade at last in the eyebrow tints, having bought and returned three colors, I am done with these. The colors were not right and I really don't enjoy the texture either. Sticking with Suqqu and a Shu eyebrow pencil as a backup. Oh dear such a pity with Sunset... it almost reminds me of Chanel Campanule. I'm always afraid of liquid eye tints that are too sheer and needs time to dry before adding more layers.... i can't keep still long enough for that to happen, and I'll just blink them all into oblivion! LOL!But I still loved how you wore both shades together.... that orange! Although the name of Ash Blonde is very off (there is nothing blonde about it) I can imagine that one might work on most of us much better than the previous shades. Yes that green tingle, it is so interesting isn't it? Zenith might have the problem too, you are right. I was so excited by these and feel a little let down. The shades are so unique, especially the orange. Yes team purple here too! Haha, this is why I purchased it in a heart beat. Wished it would be a little thicker in consistency. yes, the consistency is runny, makes it hard to work. Too bad, I loved the color selection so much. in case you didn't check Eye Tints yet, I recommend #10 Senso, that one is a one swipe wonder for mornings when I am running late. yes Ash Blonde is nothing but blonde. But maybe you can use it as an eye shadow. 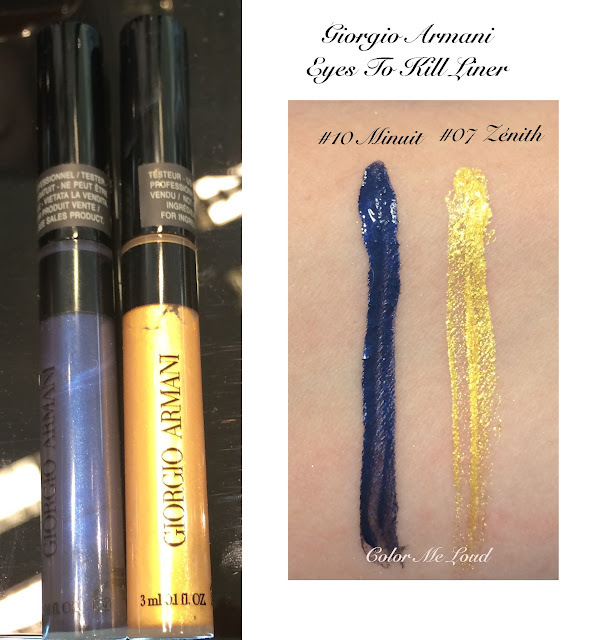 The golden one is gorgeous, I would apply it over a deeper base or sheered out. Still I think the permanent Eye Tint collection has better shades to offer. Thanks for the remark. Douglas lists them as limited edition, I am a little confused. if you need any of them before it hits there, let me know. I encourage you though to check them out in person before shelling out your money. These are really tricky to work with. Oh dear, I thought Taboo was permanent. When did they discontinued it? Grrr. I would get a back up if I knew! I see that some sellers from evil Bay are selling it for $37, maybe you want to check out. Taboo is so complex, like nothing else I own. I usually use a clean brush or the brush with a skin-coloured powder with matte finish (MAC Omega or MAC Blanc Type). I find that way the effect of fading looks more natural. Now you got me interested in Mona Lisa hah! You shouldn't miss Senso though, it is pure love. The shimmer in it and how it looks on the lids, so pretty. I wished I didn't have to pay so much shipping for CT, I would order Mona Lisa in a heart beat.